Blount isn't expected to re-sign with Detroit before the start of the new league year in March, Dave Birkett of the Detroit Free Press reports. Analysis: Coming off a 2018 campaign in which he managed just 2.8 yards per carry, the 32-year-old running back likely will need to compete for a roster spot wherever he ends up. There's also some chance Blount could simply retire, as his age, recent production and lack of pass-game skills will make it difficult to land a contract for significantly more than the veteran's minimum. The Lions figure to go in a different direction in their search for backfield depth behind Kerryon Johnson (knee). Blount rushed 11 times for 15 yards during Sunday's victory over Green Bay. Blount (knee) is active Sunday against Green Bay. Analysis: Blount was limited in practice each day this week, but the knee issue won't prevent him from suiting up for the regular-season finale. His workload is more of a question mark, however, as he's seen 22 or less offensive snaps in each of the last three weeks. Look for Blount to once again split time with the likes of Theo Riddick and Zach Zenner, which unquestionably limits his fantasy ceiling. Blount (knee) is listed as questionable for Sunday's game in Green Bay, Michael Rothstein of ESPN.com reports. Analysis: A limited participant throughout the week, Blount seems to be on track to play in the season finale, likely splitting work with Zach Zenner and Theo Riddick. 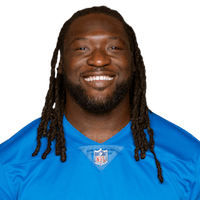 The three-way timeshare doesn't present much upside for fantasy purposes, but it would at least become somewhat interesting if the Lions were to place Blount on their inactive list prior to Sunday's 1:00 PM ET kickoff. Blount (knee) was a limited participant in Thursday's practice, Tim Twentyman of the Lions' official site reports. Blount (knee) was a limited participant at Wednesday's practice. Analysis: Listed with a calf injury last week, Blount ultimately took 13 touches for 24 yards in Sunday's 27-9 loss to the Vikings. He was once again outplayed by Zach Zenner, who turned eight carries into 45 yards. The Lions will likely deploy a backfield committee again Week 17 against the Packers. Blount (calf) rushed 11 times for 29 yards while catching two of four targets for minus-5 yards in Sunday's 27-9 loss to the Vikings. Analysis: Blount's 13 touches led all Lions running backs, but he was stuck in low gear throughout, with an average of fewer than two yards per touch. Look for Zach Zenner to take on a larger portion of Detroit's rushing workload at Blount's expense against the Packers in Week 17 after turning his eight carries into 45 yards in this one. Blount (calf) is listed as active Sunday versus the Vikings, Tim Twentyman of the Lions' official site reports. Analysis: Blount entered the weekend on the heels of back-to-back limited practice sessions, but his calf injury isn't enough to force him into street clothes for the first time this season. During the course of Kerryon Johnson's absence, Blount's usage has waned while Zach Zenner's reps increased and Theo Riddick's workload remained the same. As such, Blount may not be able to surpass his 10.5 touches per game from the last two outings. Blount (calf), who is listed as questionable for Sunday's contest against the Vikings, is considered a game-time decision, Ian Rapoport of NFL Network reports. Blount (calf) is listed as questionable for Sunday's game against the Vikings. Blount was listed as a limited participant at Thursday's practice due to a calf issue. 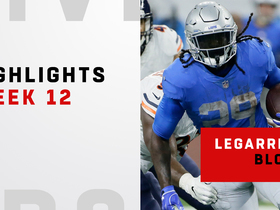 Analysis: Blount didn't appear on the Lions' first practice report of the week Wednesday, so he either hurt his calf in that day's session or was forced to depart early Thursday. It's also possible that the Lions restricted Blount's reps for maintenance purposes under the cover an injury. In any event, Blount's status for Sunday's game against the Vikings will be known shortly after the Lions' final practice Friday. Blount managed just nine yards on seven carries while failing to haul in his lone target in Sunday's 14-13 loss to the Bills. Analysis: Blount was bottled up while both Zach Zenner and Theo Riddick topped 40 yards on the ground. Zenner -- who scored on a one-yard plunge in this one -- appears to have eclipsed Blount as the short-yardage back of choice in Kerryon Johnson's (knee) absence, which is bad news for the former's fleeting fantasy value heading into Detroit's Week 16 matchup with the Vikings. Blount rushed 12 times for 33 yards during Sunday's 17-3 victory over Arizona. He caught two passes for 18 yards and also lost one fumble. Blount rushed 16 times for 61 yards and failed to come up with his only target in the Lions' 30-16 loss to the Rams on Sunday. 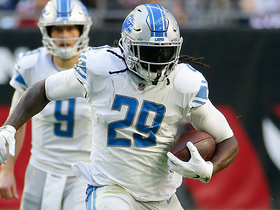 Analysis: Blount helmed the Detroit backfield for the second straight game in the absence of Kerryon Johnson (knee), and although he couldn't quite duplicate his success from Thanksgiving Day, he still turned in a solid stat line overall. Unsurprisingly, Blount wasn't involved in the passing game, limiting his overall upside. With Johnson having a chance to return for a Week 14 battle against the Cardinals, Blount could potentially find himself back to a rather scant workload in that contest. Blount will have another chance to lead the Detroit rushing attack with Kerryon Johnson (knee) ruled out for Sunday's game against the Rams, Dave Birkett of the Detroit Free Press reports. 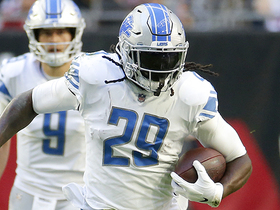 Analysis: Blount was surprisingly productive in the Lions' first game without Johnson, taking 19 carries for 88 yards and two touchdowns in a 23-16 loss to the Bears in Week 12. He'll now face a much softer run defense that has yielded 5.2 yards per carry, though volume could be an issue if the superb Rams offense leaves the Lions with a multi-score deficit. In that scenario, more snaps would be on tap for passing-down back Theo Riddick. 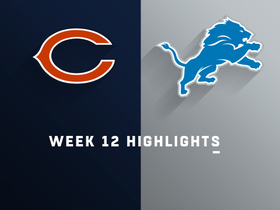 Blount rushed 19 times for 88 yards and two touchdowns and brought in his only target for 15 yards in the Lions' 23-16 loss to the Bears on Thursday. 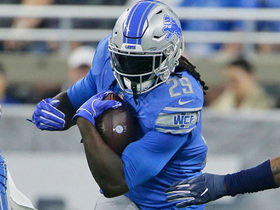 Blount is primed for a larger role on offense with Kerryon Johnson (knee) unavailable for Thursday's game against the Bears, Michael Rothstein of ESPN.com reports. Analysis: Averaging just 2.3 yards on 78 carries this season, Blount has largely been limited to short-yardage work ever since Johnson emerged as a formidable lead back. The rookie's upcoming absence creates the opportunity for Blount to see more carries, but he'll be facing an excellent defense and likely won't be in line for much work on passing downs. Theo Riddick is a safer option in PPR formats, and Zach Zenner may also poach some snaps from Blount. 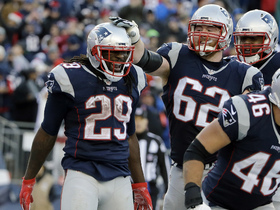 Blount rushed seven times for one yard during Sunday's 20-19 victory over Carolina. Blount carried six times for four yards during Sunday's 34-22 loss to Chicago. Analysis: The plodding Blount -- who's now failed to clear 1.8 yards per carry in six of nine games this year -- has been out-touched by Kerryon Johnson 35 to 12 over the last two games and lost more work to a healthy Theo Riddick (13 touches). Considering how ineffective Blount has been with his limited touches, his role likely won't expand as long as Johnson stays healthy. 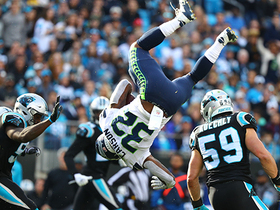 The Oregon product will remain a low-floor, touchdown-dependent fantasy option in Week 11 against Carolina. Blount (knee) was a full practice participant Friday and doesn't have a designation on the final injury report for Sunday's game in Chicago. Analysis: Meanwhile, Kerryon Johnson (ankle) remained limited at Friday's practice and is listed as questionable for Sunday. Blount could have some fantasy appeal if his backfield mate is ultimately ruled out, but he'd still be looking at a tough matchup against a Bears defense that's given up just 3.7 yards per carry and 85 rushing yards per game. It isn't clear if Johnson is truly questionable or if the Lions are just being overly cautious on the injury report. Analysis: Both Blount and Kerryon Johnson (ankle) have had their reps limited in the first two practices of the week, but there hasn't been any indication from the Lions that either back is in danger of missing Sunday's game against the Bears. Though Blount maintains a short-yardage/goal-line role for Detroit, his weekly fantasy value almost entirely hinges on him finding the end zone these days with Johnson having emerged as the team's top ballcarrier. Blount was a limited participant at Wednesday's practice due to a knee issue, Tim Twentyman of the Lions' official site reports. Analysis: Fellow tailback Kerryon Johnson (ankle) also popped up on the Lions' initial Week 10 injury report. While there's been no indication that either back is in danger of missing Sunday's divisional showdown with the Bears, that sentiment could change if Blount or Johnson is unable to log a full practice before the end of the week. Blount produced eight yards on five carries and two yards on his only reception during Sunday's 24-9 loss to the Vikings. Analysis: As was the case last week against Seattle, the Lions were rarely in a position to pound the rock, and when they did, they weren't particularly effective. In any case, Kerryon Johnson has out-carried Blount 20 to eight over the last two games as the Detroit coaching staff is looking more and more inclined to give the rookie the bulk of the available work on early downs. Blount will remain a low-floor, touchdown-dependent fantasy option in Week 10 against Chicago. 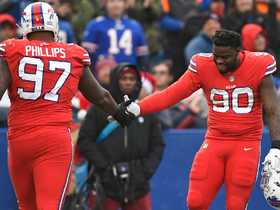 Buffalo Bills defensive end Shaq Lawson swats ball from Detroit Lions quarterback Matt Stafford for huge third-down stop. NFL Network's Reggie Bush explains why he believes the Philadelphia Eagles made a mistake by not re-signing running back LeGarrette Blount in the offseason. Detroit Lions running back LeGarrette Blount shows good vision and speed on a short screen pass for 16 yards. 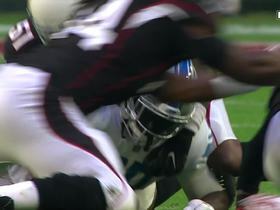 Arizona Cardinals safety Budda Baker rips the ball out of Detroit Lions running back LeGarrette Blount's arms and jumps on the loose ball for a turnover. Listen as New England Patriots running back LeGarrette Blount is mic'd up against the New York Jets in Week 16 of the 2016 NFL season. 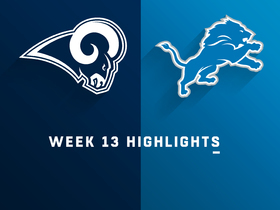 Check out the full game highlight from the Los Angeles Rams vs. Detroit Lions Week 13 matchup. Detroit Lions running back LeGarrette Blount bolts to the outside for a 24-yard gain. Take a look at the best runs from around the NFL in Week 12. Chicago Bears quarterback Chase Daniel makes his first start in a Bears uniform and leads his team to a 23-16 victory over the Detroit Lions thanks to some help from the Bears defense. Detroit Lions running back LeGarrette Blount runs for nearly 90 yards and two touchdowns in a Week 12 loss to the Chicago Bears on Thanksgiving.